Perfect Walk-In Bathtubs is one of the fastest growing walk-in bathtub companies in Southern California. We have successfully installed over 500 complaint free installations with many more shipped throughout the US. We pride ourselves in providing only quality iatmo certified tubs. Owner Dale Bradshaw has over 25 years experience in the Home Improvement industry. One’s personal bathing needs should not be limited to cost. Perfect Walk-In Bathtubs would like to welcome you to a growing trend in bath remodeling – The Walk-In Bathtub! A walk-in tub is a specially designed bathtub that has a door and seat built right in. Once the door is opened it is easy to step into the tub, shut the door, and proceed to fill the tub with water. The door has a water tight LIFETIME seal that once closed allows you to have a nice deep soaking bath. For the mature of age, disabled people, people with challenges in mobility, or anybody looking for a safe and more comfortable bathing experience, Perfect Walk In Tubs offers you the perfect solution to taking a soothing bath. The Perfect Walk-In Bathtub offers easy entry and comfortable seating. Easy-to-reach faucets combined with a hand held shower fixture will truly make your bathing experience wonderful! Convenient grab bars add to the pleasure of your new bath experience while also considering your safety. With a water depth of almost two and a half feet, a relaxing and comfortable bath is waiting on you, at Perfect Walk In Tubs. 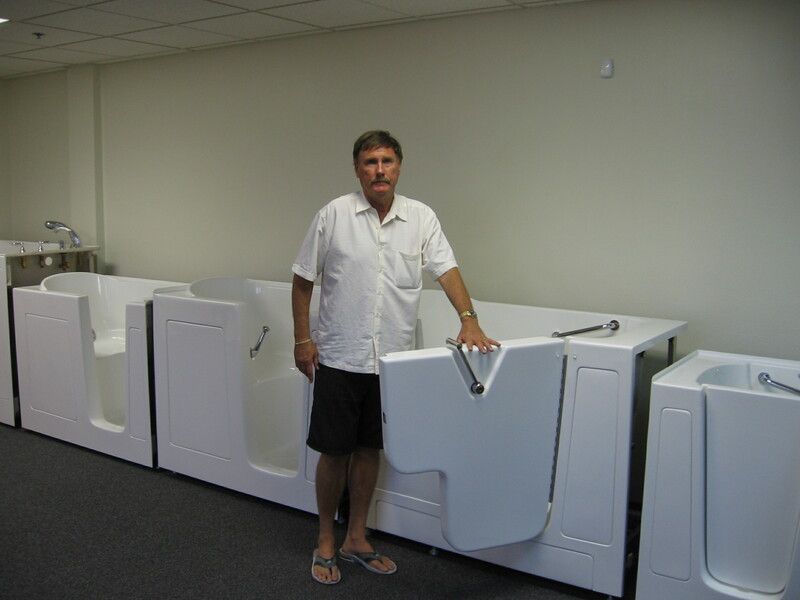 Perfect Walk In Tubs is proud to feature several brands of walk-in tubs. You can choose from our line of soaker safety baths or add the “water massage” water jets to your new bath. You can choose air jets or a combination of air jets and water jets. It’s your bath, so you make the choices! Perfect Walk-In Tubs also features unique options such as the Minute Drain, Aromatherapy, Chromatherapy and AirBath Massage Systems. All of these features will provide pain relieving therapy and comfort through the ergonomic design. Let’s face it the wet area in the bathroom can be a slippery and dangerous place. This is why Perfect Walk In Tubs is so proud to have these lines of tubs available to our senior and handicapped clients. If safety is a concern of yours a Perfect Walk In Tub may be the answer. When seated inside the walk-in tub you are literally surrounded by comfort. If you’re concerned with the tub size, don’t be. These walk-in bathtubs are available in various sizes and dimensions. Perfect Walk-In Tubs has installed numerous hydro therapy bathtubs with nothing but positive feedback. If you would like a brochure about these bathtubs give a call at (800) 575 4741.